Wearing: Aeropostale shirt, Nasty Gal sweater, H&M faux leather pants, Forever 21 sandals, Vintage Gucci handbag, Forever 21 necklace. I've been obsessing over sweaters with this style for quite some time. It wasn't warm enough today to wear it alone, so I put a plaid shirt underneath with a chunky gunmetal statement necklace to liven it up a bit. But even though it was cold I still had to wear my studded sandals, I just thought they looked too fab with the outfit not to wear them! Sometimes you just gotta choose style over comfort, ya know? Adorable look! And yes, I choose style over comfort all the time. The shoes are perfect with the outfit. 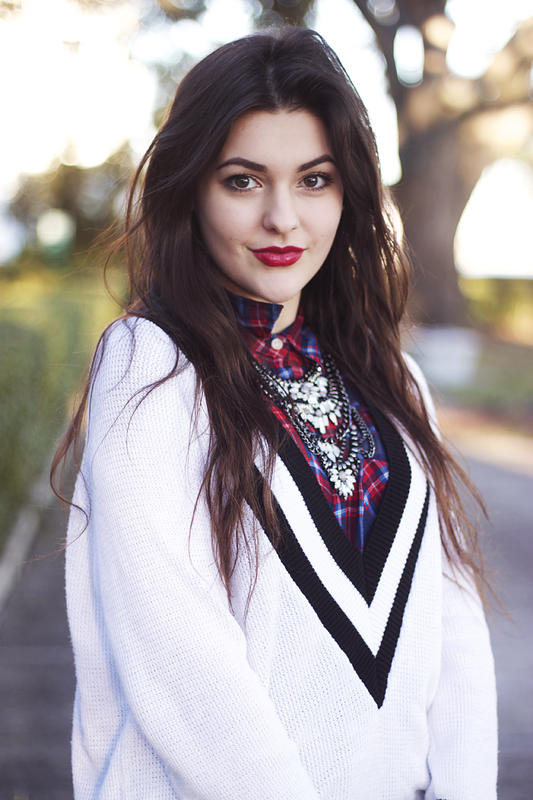 Love the sweater and the necklace! So nice! That sweater is so perfect! I'm loving the button up underneath it as well! The pictures are so beautiful and the photography is amazing. 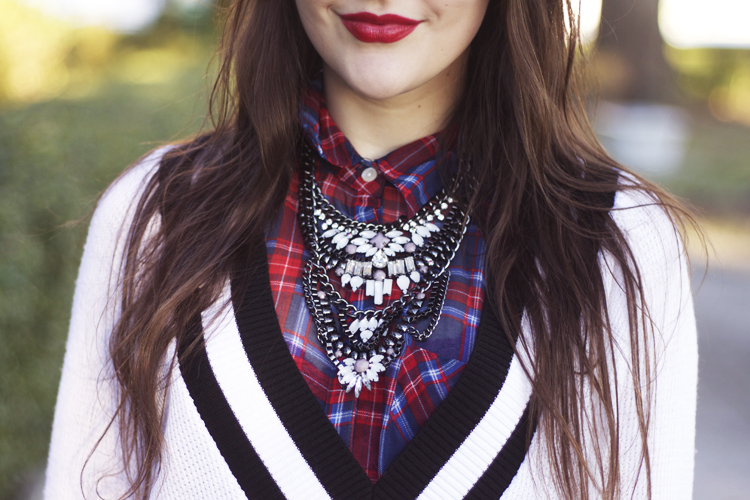 I love the way that v-neck sweater looks layered over the plaid top. 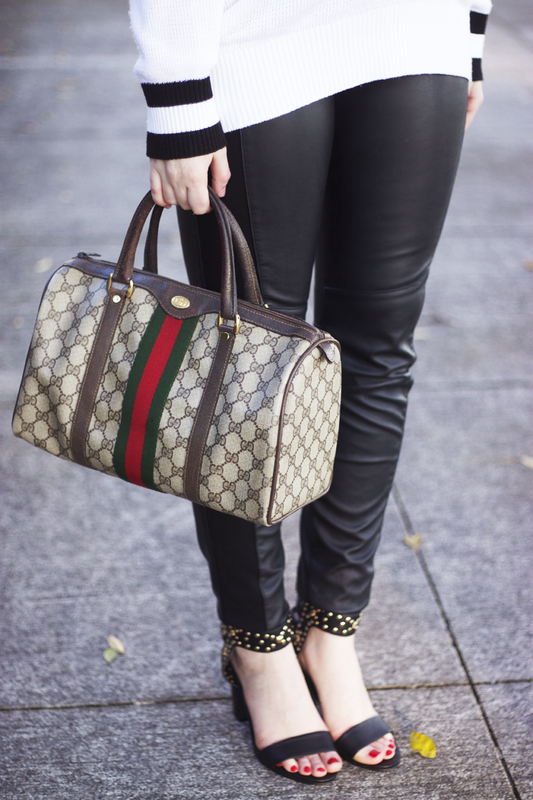 Your leather pants are awesome too! I saw those in the store the other day but resisted trying them on because I wouldn't be able to wear them until November or something due to the heat. Boo.